Ariel is here to help you have the birth you want. If you have the plan, Ariel will execute it. If you need help to determine the birth you want, Ariel will help you explore your options. Ariel is your doula from the moment you sign the contract. If you have questions or concerns after a meeting with your care provider, Ariel is happy to talk through your experience. Call Ariel anytime. Let her help you where you're at. Establishing a bond early after birth has shown to reduce postpartum depression, increase milk supply in breastfeeding mothers, and increase the overall care and well being of mother and baby. Having Ariel present for the hours after birth will allow for continuous support during the gentle shift from the excitement of labor and birth to the excitement of holding your new baby. To continue care, Ariel will meet with you when you bring baby home. Breastfeeding moms will benefit from having in home support with reassurance and experience. Ariel can help give suggestions on how family members can best support your needs, and validate the need for bonding time, however that may manifest itself for you and your baby. Should further needs arise, the relationship can transition easily, as Ariel is able to support you with short term or long term Postpartum care. "She is non judgmental. She will offer support whether you plan to have a natural birth or not, or whether you are able to do things the way you plan." 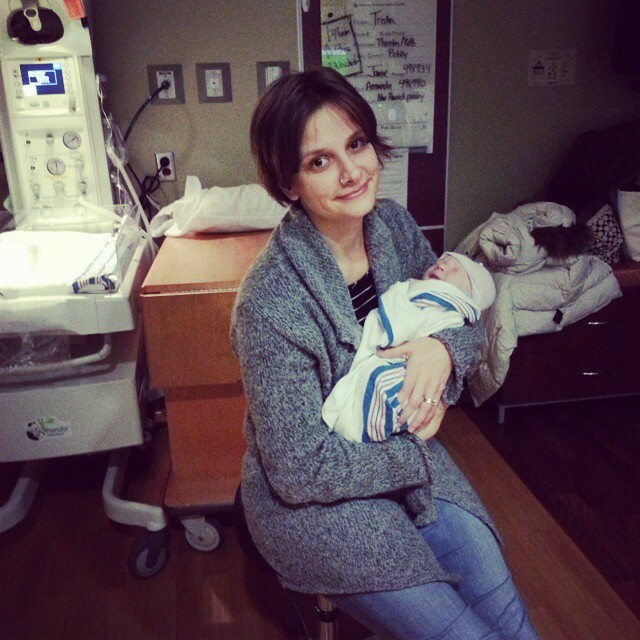 "I could not imagine going through these 9 months without having a doula. My family and I were more easily able to make the decisions we had to make and are at peace with the overall experience."